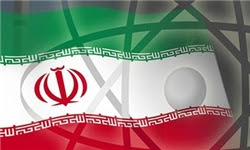 Iran has denied allegations by National Council of Resistance of Iran (NCRI) that the Islamic Republic was secretly building a new underground nuclear facility in a mountainous area near the town of Damavand, east of Tehran. I had read this crap on the terrorist MKO website last week and it was expected that these eternal losers will make up some nonsense after Rohani's peaceful election. MKO and crazy Masoud and Maryam are obviously increasing their intake of opiates in frustration of old age after their buddy Saddam ended up in a spider hole hell and camp Ashraf a target practice zone for the Iraqi army. As a matter of fact, the Camp Ashraf was the Iraqi officers brothel in exchange for favorable financial privileges. I dare say there is more truth to the anon 7:39 allegations than the MKO terrorist allegations. I can not comprehend their (MKO) insistence or will for living on as they do, truly shameful. Atari by fortune and Iranian by grace of God.